Nairobi — Council of Governors Chairman Josphat Nanok says Eldoret Catholic Bishop Cornelius Korir who died Monday will be remembered as the unsung hero, especially on peace. In his message of condolences, Nanok who is also the Turkana Governor recalled how Bishop Korir played a key role in restoration of peace in the North Rift during the 2007/2008 post-election violence. "Bishop Korir, former Chairman of Kenya Conference of Catholic Bishops, was a local and national peacemaker. Among the warring pastoralists' communities in Northern Kenya, he preached inter-tribe harmony while at the national level he was instrumental in stabilising the country during the 1992 tribal clashes in Burnt Forest and 2007/2008 Post Election Violence in Kenya." "The late Bishop had bequeathed humanity, deep compassion, education, peace and generally caring for the less fortunate in the society. He was an unsung hero whose selfless actions touched many lives; with his passing on, humankind is poorer," he said. 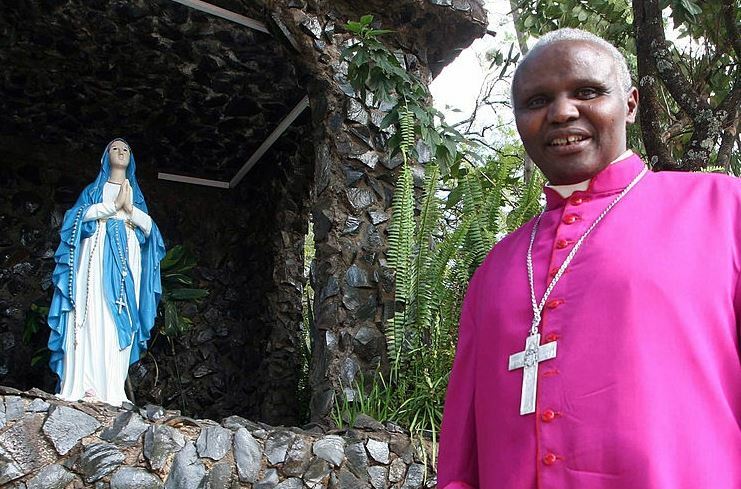 The Eldoret Catholic Bishop died early Monday morning aged 67. NASA leader Raila Odinga said Bishop Korir has been one of the nation's leading moral lights and voices of reason who also did outstanding work with many communities and through such service, touched the lives of countless Kenyans. The late Bishop Cornelius Korir of Eldoret diocese will go down in history as a man who fought for peace and unity among people. His death on Monday shocked many who looked up to him for religious guidance. Here are a few things to know about the late Bishoip. 1. He was born and raised in Bomet county. 2. His interest in priesthood started while he was still a pupil at Chesoen and Segutiet primary schools between 1959 and 1970. 3. He became a catechist and went to the seminary school at the Mother of Apostles Minor Seminary in Eldoret. He then joined St Augustine Major Seminary in Bungoma in 1976, graduating with a diploma in philosophy and religious studies. 4. In 1982, Bishop Korir attained a Diploma in Theology from Nairobi's St Thomas Aquinas Major Seminary, which he followed up with a licentiate degree in sacred theology from St Patrick's College in Maynooth, Ireland, in 1989. 5. Bishop Korir was ordained Bishop of the Catholic Diocese of Eldoret on June 2, 1990. 7. Three quarters of his life has been about peace building. He was instrumental in bringing back peace during the 1991 and 1992 clashes due to political violence, and also in the 2007-08 skirmishes. 8. In October, 2013 he founded the Upendo FM radio station that broadcasts from his diocesan office on 89.4 FM in the North Rift. 9. For his peace-keeping and peace-building efforts, Bishop Korir was in 2006 awarded the Moran of the Burning Spear by President Mwai Kibaki and also earned the Milele Lifetime Award in 2009 from the National Commission of Human Rights. 10. In 2012, Moi University conferred upon him the Honorary Degree of Doctor of Letters.